INTERESTED IN BECOMING PART OF A GREAT STORY? Hear why employees love working at Consumer Cellular and take a sneak peek inside all four of our locations. Working at Consumer Cellular is both challenging and rewarding. To achieve our goals, we find the absolute best talent and then nurture a highly productive and entrepreneurial environment. Each one of our team members makes a valuable contribution toward creating the atmosphere and focus that will help us to continue our phenomenal growth. And we are always looking for good people. If you possess outstanding skills, creativity, and dedication, please check back often, as our rapid growth means that we are consistently expanding our workforce. Current openings are available below. 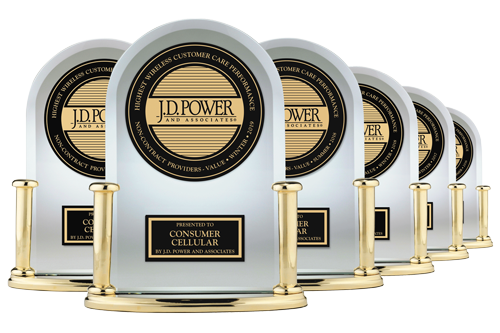 Find out more about what makes Consumer Cellular such a great place to work! Check the calendar below to find a hiring event near you. Here’s your chance to explore careers with Consumer Cellular. At Consumer Cellular we are committed to a comprehensive employee benefit program that helps our employees stay healthy, feel secure, and maintain a work/life balance.